Online Accounting Toolbox – what do you need? As online accounting and bookkeeping services steadily grow in popularity, the need for professional software and tools has grown as well. There are two primary elements that every accountant should have in their toolbox in order to work with optimum efficiency with online clients. 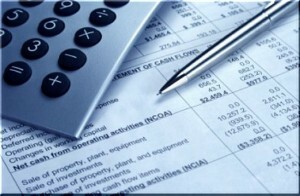 With these two foundational elements, your accounting and bookkeeping service will be grounded for online success. Portals: The online space where you conduct business. The client portal is an extremely important part of your online business presence. It essentially represents the way you conduct business with your clients. Your portal can be a website, blog, or worksite. It is the place where you provide the information and services your client is in need of. Regardless of what type of portal you choose, it should have a way to seamlessly deliver services and information to your client. The type of portal you use will have a lot to do with your success level and the new clients you will be able to attract. If you are considering a website or blog, you’ll need to make it professional, attractive, and informative. A consistently updated site with engaging, on-topic content will quickly rank you with the search engines and provide you with a steady stream of new clients. Another option is to create a ‘sticky’ mini web site that works as an online brochure. Personally, I recommend a combination of the two. A fresh, informative blog with a sticky home page will serve as the perfect portal that will attract new clients and provide a way to constantly update repeat visitors and subscribers. WordPress provides an excellent platform where a blog and mini web site can be created and combined for a professional, high-ranking site. A client log-in area can be created right on your home page that will lead current clients to the file upload and storage area. Accountants and bookkeepers alike, who service clients online, have to be able to share source documents, upload large Quickbooks files, and share other sensitive information. It is absolutely vital that the online file sharing source has the ability to easily receive and store large files, images, and documents. Secure file space is definitely the workhorse of the online accountant, as it provides the means to receive source information from the client and provide it in a secure fashion to staff members and those who need to process it. Your online file source must have the ability to store files in an easy to use, organized fashion, and be available 24 hours per day. An account with My Docs Online provides accountants and bookkeepers with the ability to offer their clients a professional upload and storage system. Large files are not a problem with My Docs Online services, and client tech support is available 24/7. Sign up for an account for as little as $9.95 per month and receive files from your Customer Upload Page in minutes. No contracts to sign. See more pricing options. Sign up for a fifteen day FREE trial Now.